I have been a fan of the TV show, Sabrina The Teenage Witch ever since the pilot first aired on ITV in 1996. In fact, I became a little obsessed. 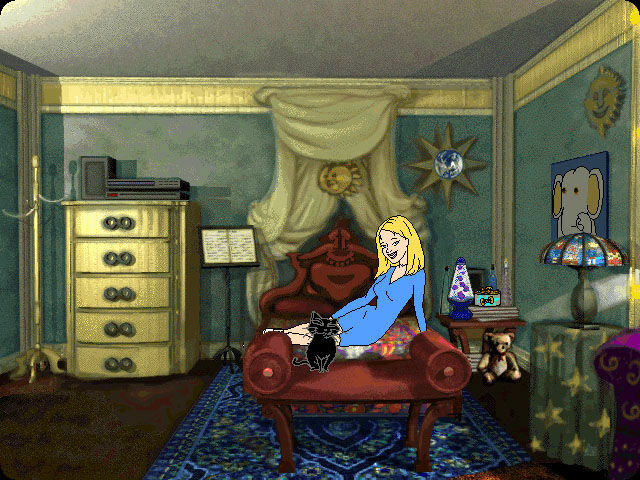 I subscribed to a magazine called "Sabrina's Secrets", bought all the books in the novel collection, had a Salem teddy, and amongst it all, I owned the first Sabrina PC game. 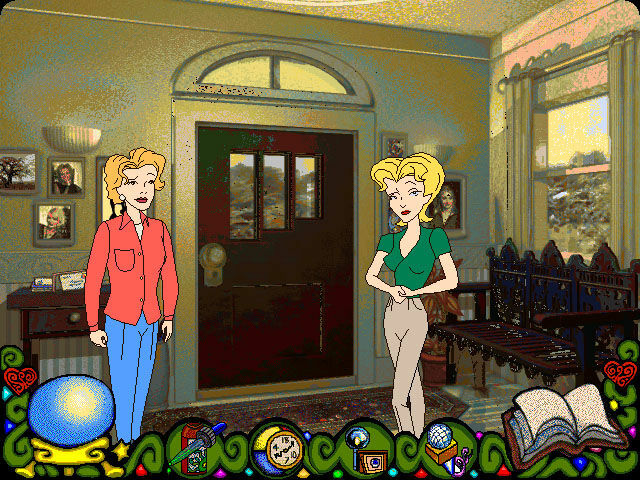 Based on this popular TV series, Sabrina The Teenage Witch: Spellbound is made up of seven mini-games that, when combined together, create a sort of point-and-click game. Most of the voice actors from the show leant their voices to the computer versions of their characters. Magician Penn Jillette even lends his voice once again to their Witches Council's Drell. Spellbound's synopsis can easily play out as an episode of the TV show. It all begins when Sabrina is preparing for a date with her boyfriend, Harvey. Wishing to win his heart forever, Sabrina consults in her warlock-turned feline friend, Salem, who teaches her a love spell to try out on Harvey. Anyone who has seen the series should probably guess that the spell does not exactly go according to plan. In fact, not only does the spell backfire against Harvey, but Sabrina has been turned into a pumpkin. And so the game begins. The player must concoct seven different spells in order to turn Sabrina back into a pumpkin so that she can join Harvey on their date. So, as you've probably guessed, the game results in seven mini-games that see players preparing seven different spells to try out on Sabrina. After each section is completed, the player is awarded a higher certificate of Witchcraft, until in the end, they finally achieve their Witch's License. The game is a very simple one to get to grips with. Serving as a point-and-click game, players will navigate a cursor around the screen in order to move to different rooms, focus on objects and interact with their surroundings. Whilst not everything you click will help complete the level, many items have amusing animations that are worth watching. The bottom of the screen holds all of the magical items which players can use to complete each different spell. These include a Time Ball to reverse or speed up time, a Monster Dropper to turn people into monsters, and a Switching Witch Mask that alters someone's mind. These magic tools are essential items, as you cannot progress further in the game without trying these out. They also add for some amusing game play. As I previously stated, the game is very easy, but if there is a hints option if players find themselves struggling with any particular section. Unfortunately, the game does get very repetitive as you progress. Thankfully, I still found it an enjoyable game, but I can understand why this may seem a little dull to many. Thankfully though, there are a few mini-games to keep things a little more refreshing. The mini-games are situated in the Other Realm, where the head of the Witches Council, Drell (played by Penn Jillette). Drell controls the "Wheel of Misfortune", which randomly selects one of four mini-games. The mini-games range from two reflex games, a dating game (think Blind Date), and a Hangman-style game. 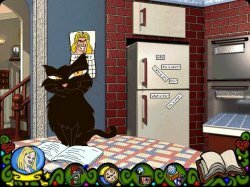 Overall, Sabrina The Teenage Witch: Spellbound serves as a faithful accompaniment to the original TV series, with many of the voice actors lending their voices to the game. 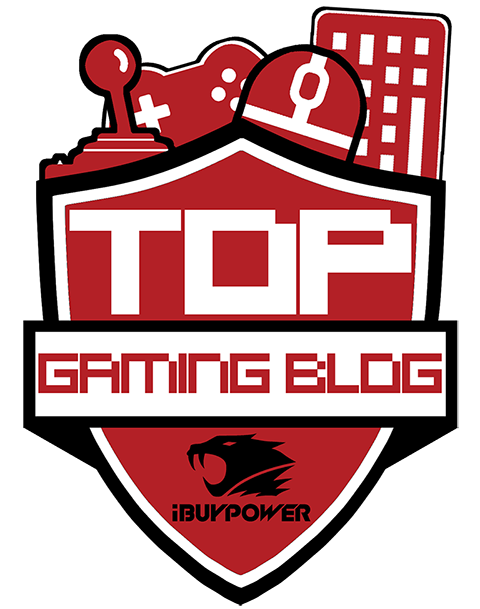 The graphics are cartoony and fun looking, whilst the gameplay, although easy and somewhat repetitive, is very enjoyable for the most part. Sabrina fans should love this. Oh, and am I still a fan? Very much so. How can Teller lend his voice to the game!!!? Oops! Rookie error. Just corrected it!